The Youth Ventures Joint Powers Authority (JPA) centers its work on creating positive life outcomes for Oakland’s children, youth, and families. As a country, the scope and quality of many of our resources eclipse those of other nations; yet, these are not accessible for a myriad of reasons to all segments of the population. Oakland is one of the most racially and culturally diverse urban cities in the United States, in one of the wealthiest regions in the country, and also reflects segments of the population in need of advocacy, supports and services to access opportunity. Applying an equity lens across the JPA Impact Table work in the areas of health, education, wealth, housing, and safety reveals areas where we can come together to make a difference. [Oakland Citywide Dashboard] The differences and/or gaps in the care and services across racial, ethnic, and socio-economic groups in these impact areas have broad implications for the overall quality of life and health for Oakland’s citizens. 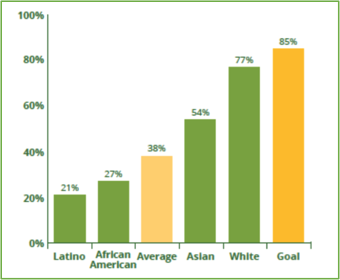 Source: United States Census, by Race, 2010. Less than optimal states and outcomes in each of the impact areas are unevenly visited upon Oakland’s various population groups. We have found that the broadest opportunity for aligning the work across areas, and forming a collective response, is chronic absence, as it may affect or be the result of some of these trends. It is critical that we develop effective and sustainable solutions through the collaboration between our JPA public agencies and community organizations on the Oakland Thrives Leadership Council. Together, we must offer comprehensive and informed systems change at the policy, resource, and practice levels to create and scale the change necessary for improved life outcomes, so that all of Oakland's children, youth, and families thrive. 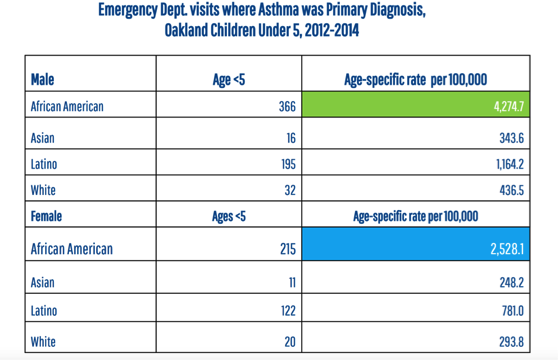 Source: Alameda County Public Health for a presentation given by the Urban Strategies Council, 2017. 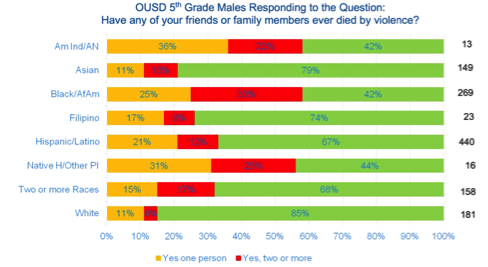 Source: Oakland Reads 2020 Baseline Report, part of Demographic Report from Oakland Fund for Children & Youth. 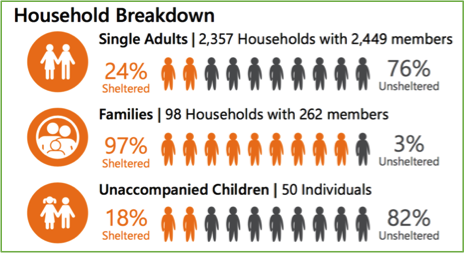 Source: Snapshot of Poverty – Alameda County,with a focus on Oakland, United Way Bay Area 2017. Source: Analysis of Early Years Health & Education Outcomes & Indicators with a Focus on Boys of Color, Urban Strategies Council, 2017. 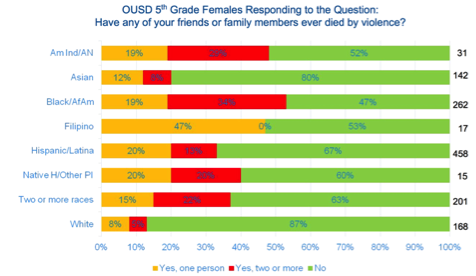 ² Children and their Families DataSheet, 2013, Interagency Children’s Policy Council, Alameda County.